Canon iPF printers with Lucia EX Inks. 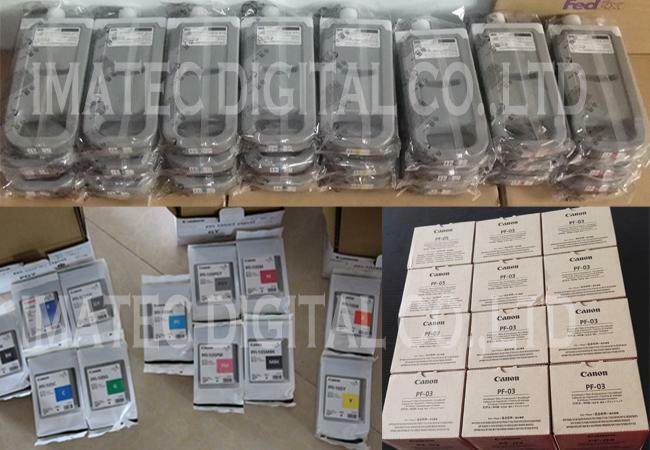 This is the Genuine Original PF-03 Printhead for Canon iPF printers, with LUCIA EX Ink sets. The PF-03 Printhead has 2,560 nozzles for each color and outputs an ultra fine four picoliter (pl) droplet size at 2400 x 1200dpi resolution, which allows users to get output with amazingly vivid color, accuracy and overall image quality. The PF-03 Printhead is for Canon iPF500 iPF600 iPF700 iPF510 iPF610 iPF710 iPF810 iPF815 iPF8000 iPF9000 iPF8110 iPF9100 iPF9110 iPF8010S iPF9010S etc. IMATEC can also supply PF-05 Printerhead for Canon iPF8400/8400s/9400/9400s/6300/6400 printhers etc. 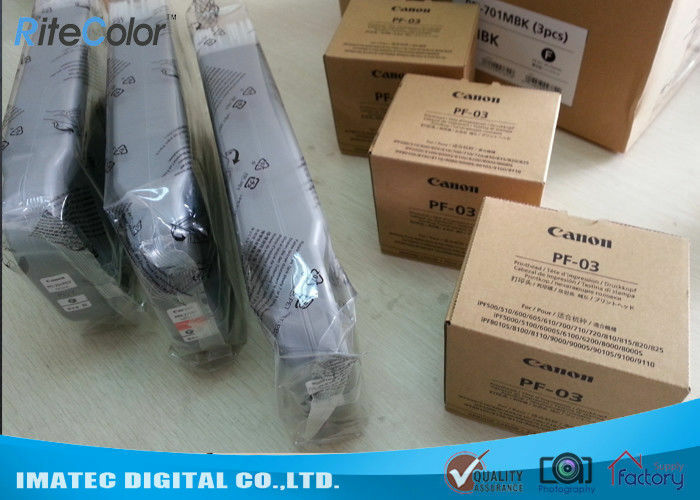 Suitable Printers For Canon IPF500600700510610710810815800090008110910091108010S9010S, etc. Delivery: DHL, FedEx, TNT etc.